Tab R. Imdacha, DDS, is a skilled and compassionate dentist who brightens smiles at Woodlands Pediatric Dentistry, conveniently located in The Woodlands and Spring, Texas. Dr. Imdacha grew up in Bastrop, Texas, graduated from Texas A&M University in College Station, Texas, and earned his dental degree from the University of Texas School of Dentistry in Houston. 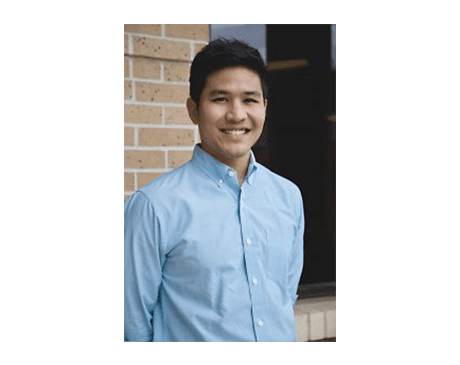 He’s a member of the American Academy of Pediatric Dentistry, American Dental Association, Texas Dental Association, Houston Academy of Pediatric Dentistry, and Psi Omega dental fraternity. Dr. Imdacha has extensive experience in pediatric dentistry, with an excellent bedside manner that makes his patients feel safe and comfortable, even those with dental anxiety. He’s certified by the American Board of Pediatric Dentistry and is the recipient of a number of distinguished awards. Dr. Imdacha enjoys the outdoors and likes to stay active through recreational sports. He’s also passionate about traveling, including numerous dental mission trips to Guatemala.